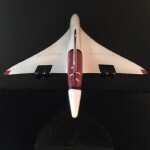 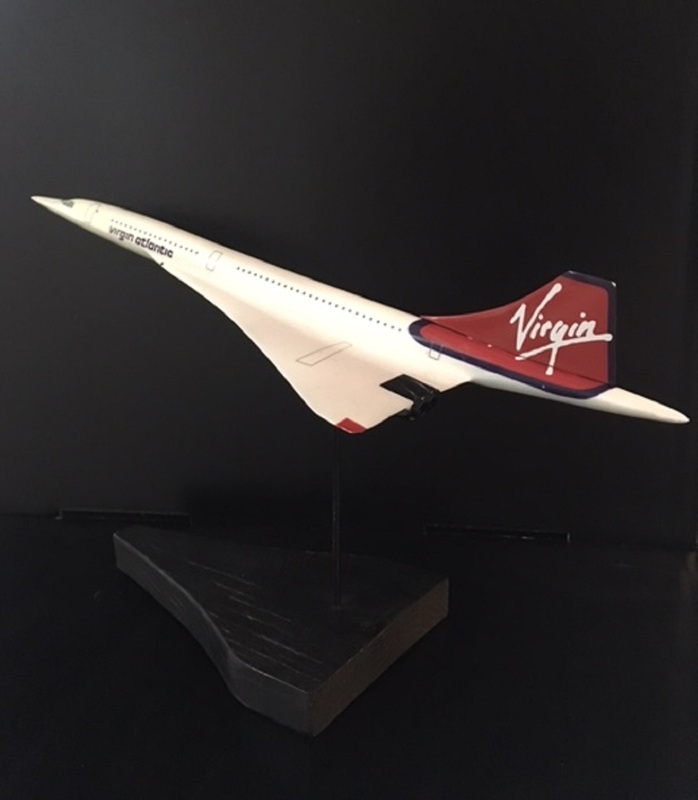 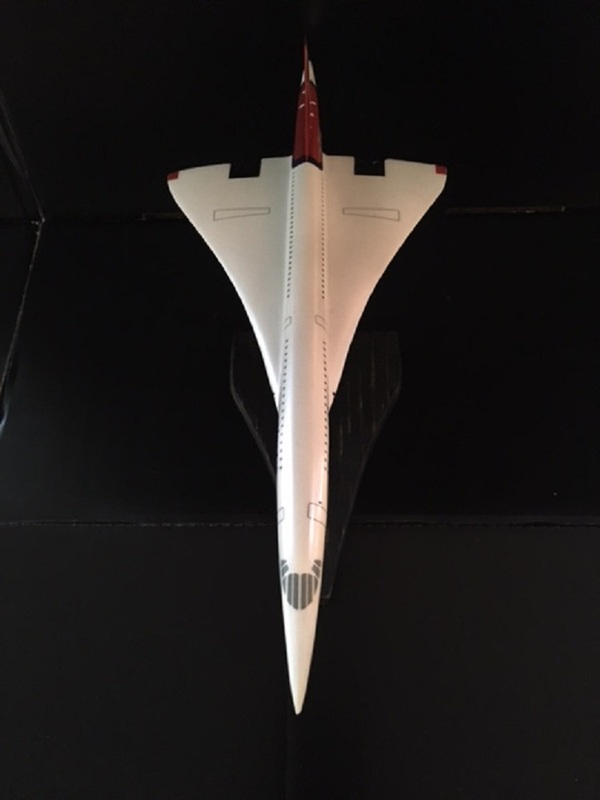 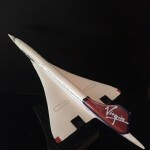 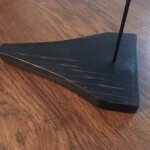 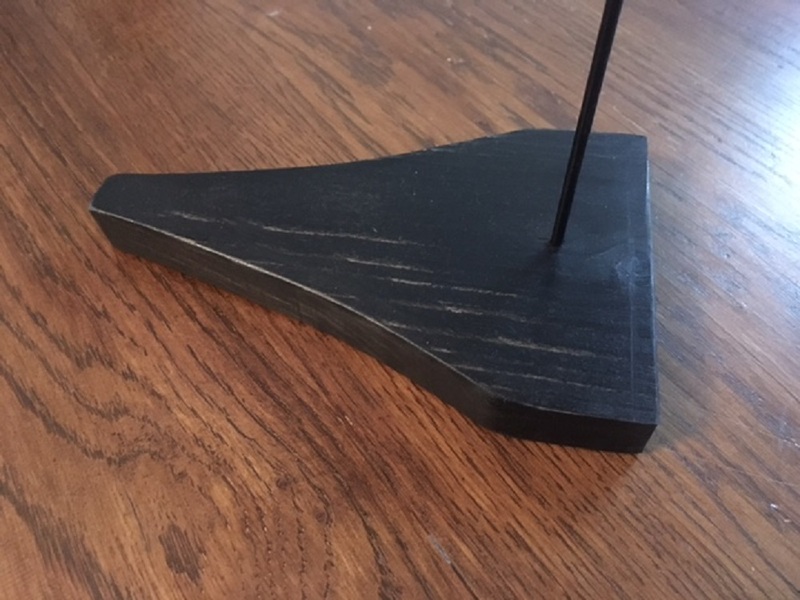 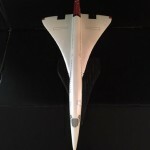 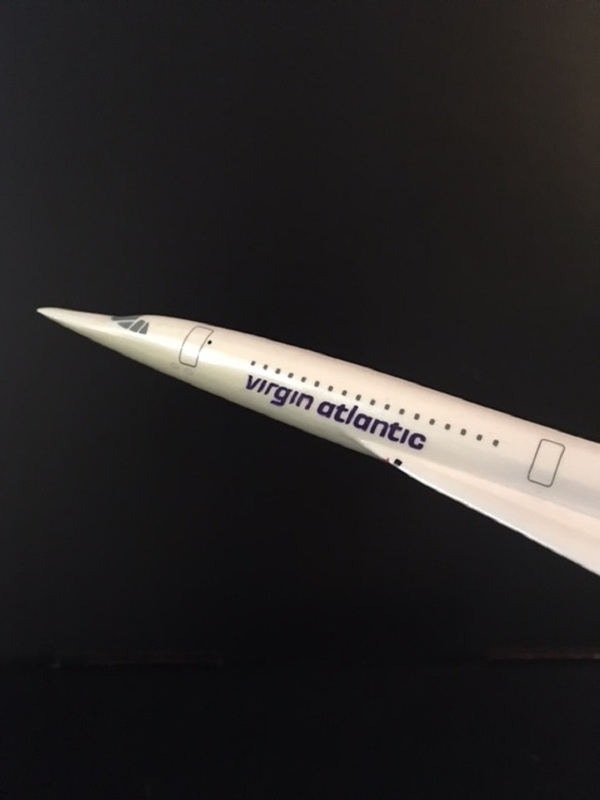 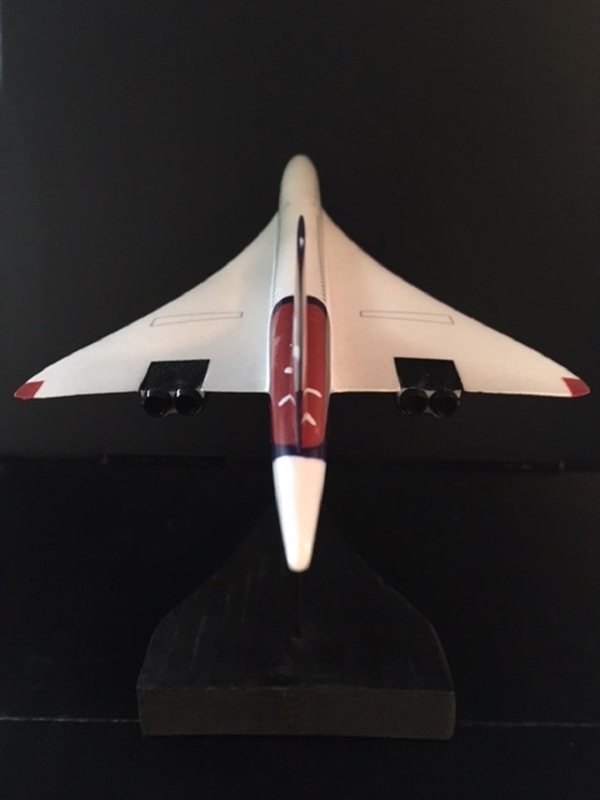 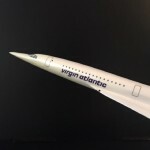 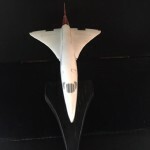 This delicate model of a Virgin Atlantic Concorde sits on a wooden stand. 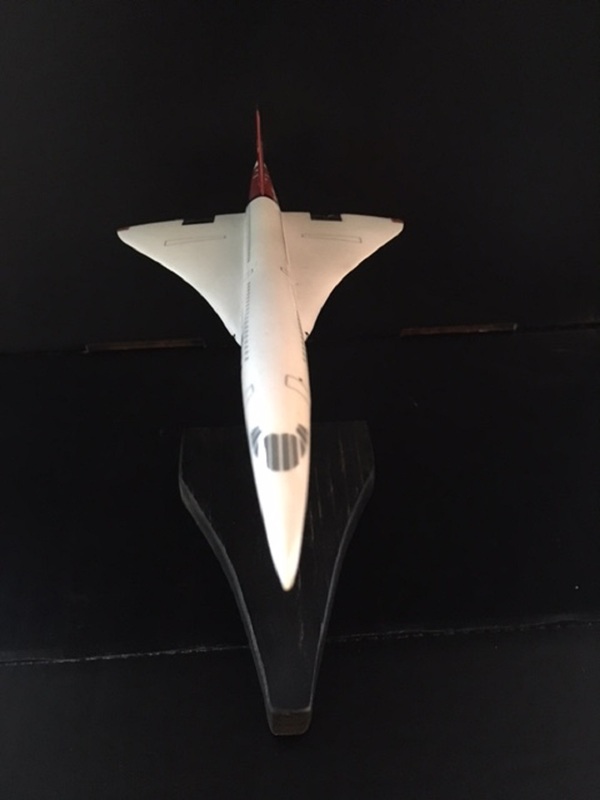 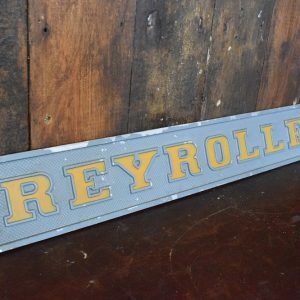 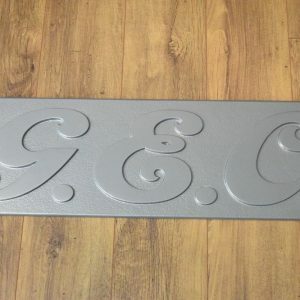 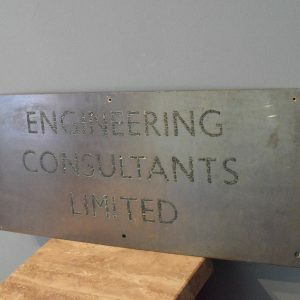 The model is made from plastic and is in good condition. 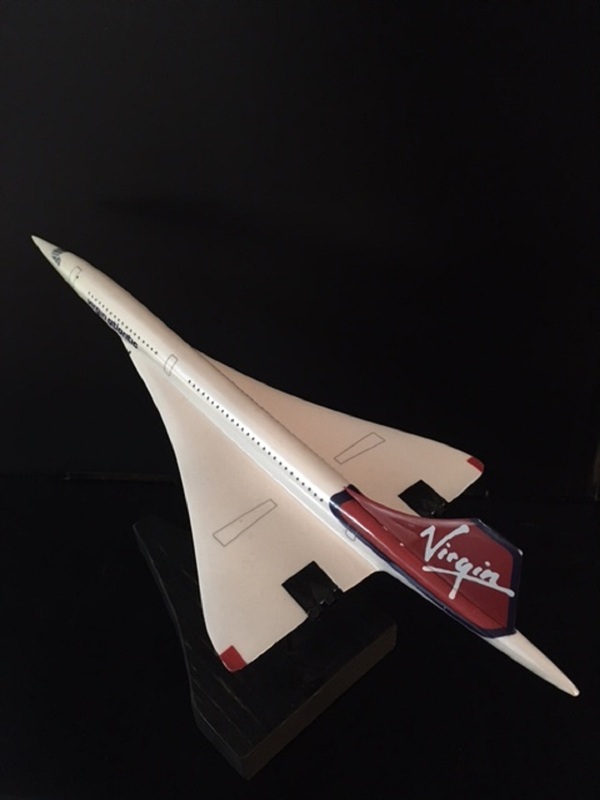 An attractive and small decorative object of this iconic aircraft.